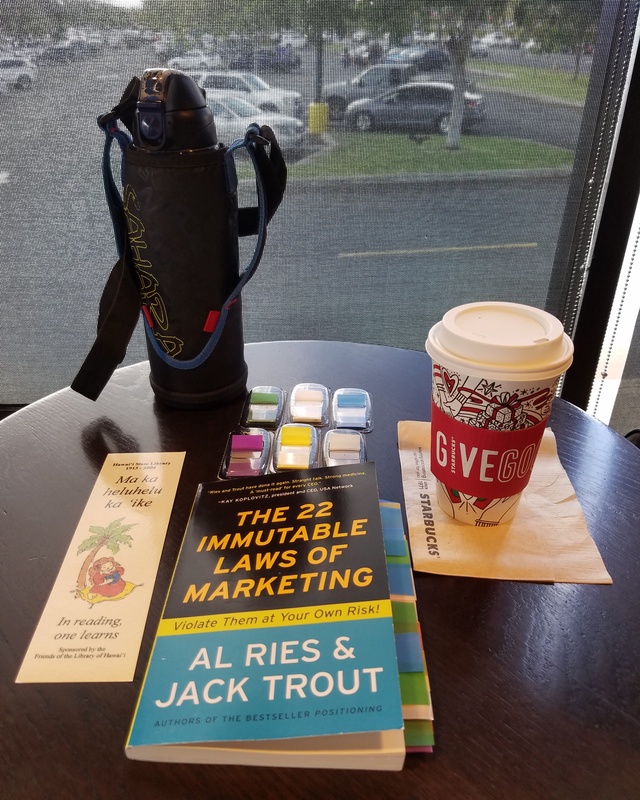 I finished reading “The 22 Immutable Laws of Marketing” by Al Ries & Jack Trout late this morning of November 18, 2017 at Starbucks in Pearl City, Hawaii. I learned about this book through Tim Ferriss who is an entrepreneur, author, podcast host, and investor. Super good! Very applicable! My mind is churning up stuff that I’m putting into words with my MacBook Pro.